In September of 2013 Fujifilm’s offices in Tokyo stopped offering development services for 8mm film. When the company ended production of Single 8 film stock a few years ago, choruses of lament echoed through the Japanese indie film scene, quickly followed by a fetishization of the format, its texture, colour and sound – in short, its ‘feeling’. This came at the expense of the actual filmmaking - any jittery handheld street scene was treated as a treasure on a par with a Lumière brothers original, all the more if the footage somehow evoked nostalgia for the Showa era: reflective recordings of television programs from the 1970s and early 1980s, the heyday of 8mm filmmaking, are currently inducing collective sighs in tiny basement venues all over Japan. The number of ‘selfies’, particularly shots of the filmers (not filmmakers, mind you) recording themselves reflected in mirrors, are indicative of the number of hangers-on and pseudo-artists (re)active in the Japanese 8mm scene, the kind that, to paraphrase my dear colleague Jasper Sharp, pick up cameras because they want to be called filmmakers, not because they have anything to say. It is they whose laments over 8mm’s demise resound loudest. 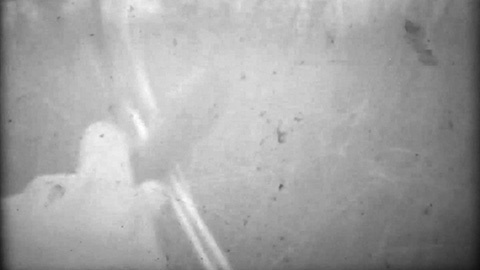 In Japanese film history 8mm holds a far more important position than its image as the format of choice for your uncle’s home movies would lead you to imagine. Many of the major names in Japanese cinema of the past 30 years started out tinkering with the 8mm cameras that their fathers and uncles had lost interest in as soon as the novelty had worn off and the inevitable prospects of processing, printing and projection reared their cumbersome heads. These intrepid and persistent filmmaking offspring duly morphed into a generation of cineastes, whose Single 8 epics were soon revealed to the world at large through a festival founded with the specific aim of giving these kids a platform to display their talents: the Pia Film Festival. Thus, people such as Sogo Ishii, Shunichi Nagasaki, Kazuki Omori and Kiyoshi Kurosawa could break into professional filmmaking, in some cases while still in their teens. 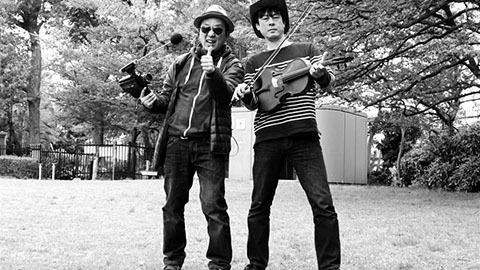 The format also provided the first tentative steps for some of the internationally better-known exponents of 1990s Japanese film, notably Kurosawa acolytes Makoto Shinozaki, Shinji Aoyama and Akihiko Shiota, while Nara native Naomi Kawase forged an entire self-contained body of work away from the hub of filmmaking in the capital. By the time these artists made their first features in the mid-1990s, however, they had graduated to the 16 and 35mm formats more suited to commercial theatrical distribution, while the advent of the digital camcorder saw 8mm filmmaking relegated to a tiny circle of obsessive amateurs. From a creative, artistic standpoint, this circle spawned what adds up to not even a handful of halfway decent filmmakers. Those in the know will point to names like Sho Fujiwara or Hikaru Horii, whose deliberately trashy productions are acquired tastes by any standard. The one filmmaker to emerge in this period whose works consistently explored not only the medium’s characteristics but also its filmmaking potential is Kenji Murakami. It is important to note that Murakami employs 8mm and DV in equal measure, often juxtaposing the formats to comment all the more perceptively on them. Murakami is often his own subject, but while turning the camera on himself and his direct environment (family included), one is never quite sure whether what one is watching is fact or fiction. Murakami’s approach to the documentary – as he once explained in an extensive interview with Midnight Eye – is that it is just another genre of filmmaking and that it can be employed to make works of fiction just as well as recording matters of fact. The extinction of 8mm film has run like a motif through his recent works – and the closer to the vanishing point we arrived, the more inspired his films became. Fujica Single Date (2008) is a case in point: acknowledging that the main reason many teenage boys got hold of an 8mm camera was to have a chance to film pretty girls, Murakami grabs a few Single 8 reels from the stash in his fridge and sets up a series of dates with young women in the weeks that his wife and infant son are away visiting his in-laws. The encounters end in a variety of ways that are not always to the greater glory of the filmmaker. As can be guessed from this brief synopsis (keeping in mind the fictional aspects of Murakami’s films), the result is also highly entertaining. Kenji Murakami’s films are characterised by a spirit of playful mischief, and he often uses them to poke fun at himself – a quality that is only reinforced by occasional stern accusations from an older generation of cineastes that he does not make “real” documentaries. Sound Hunting is his latest 8mm foray and in some respects also his last. It has, at least, the theme of extinction running all through its 36-minute running time. Using his last stock of Fujichrome RT-200 sound film – a format discontinued in 1999 (coincidentally the year of Murakami’s breakthrough as a filmmaker with the DV-shot Tel-Club) – he films and films until it runs out. Talking into a microphone plugged directly into the camera, he narrates or more accurately describes what he is filming, because the catch is: the stock has expired years ago and the images recorded on it are somewhere beyond inscrutable. The result is a mosaic of abstract images, as grain, scratches, and blots dance across the murky print, light flashes through sudden white forms like enlarged amoebas, and recognisable imagery is either hazy or only glimpsed sporadically. At the same time, Murakami’s voice resounds as he describes the subject he is filming, repeating with an urgency that contributes to the sense (or illusion) of witnessing final moments. “Now I’m recording my son” and “Now I’m recording my house” give way to what we assume are street scenes, which segue into an encounter (“Now I’m recording a woman”) that refers back to Fujica Single Date: a young woman’s voice and ecstatic moans suggesting that Murakami’s final odyssey into cinematographic oblivion included a quite human desire for the flesh. Whether this is all literally, factually happening or whether it is truly the last of the filmmaker’s stock of 8mm sound film are questions that are beside the point. Suggestion is all in Murakami’s films: the internal logic is all that counts, but this internal logic comments on greater things in the world – and the world of cinema – at large. As his voice repeats, “I think this is the end of the reel. It’s nearly finished now”, for quite some time during the film’s last minutes, these words evoke something much larger than the end of a single filmmaker’s personal stash of an obsolete film format: an industry’s rush to render film as a medium obsolete. This time around, however, Murakami’s artistry doesn’t end with a coherent internal logic. To underline the point, he refuses to make digital copies of Sound Hunting and will only allow it to be screened if he himself mans the projector – applying the militant philosophies of filmmaker Fumiki Watanabe (the subject of an earlier Murakami film) to turn Sound Hunting into not just a film but a live performance about the extinction of the medium called film. 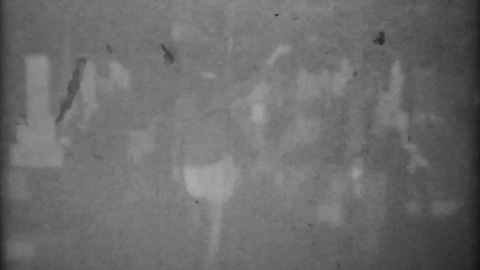 In this manner, Sound Hunting is already building a reputation for itself; during the film’s premiere at the Yamagata International Documentary Film Festival (where it won one of the awards), the last few frames of the only extant print burned under the heat of the projector lamp. Even unintentional, this qualifies as a brilliant piece of self-publicity, but also as further testimony to the brilliance of Murakami’s entire exercise: once the print has worn out, that’s it. Sound Hunting sees Kenji Murakami in characteristically mischievous mode, but equally characteristic for being no less significant at the same time.